I have a lot of "cheese heroes". The heroes that tell me it's OK to eat slice after slice of it in my underwear. The heroes that have trained my nostrils to sniff out the mildest of Cheddar to the stinkiest of Limburger.The heroes that let me know it's OK to eat it in full chunk form, one after the other, and enjoy it shamelessly as a nightly ritual.And, the heroes that taught me it's OK to accept, nay demand, that cheese be available at any social gathering I may attend. So with that, I will today be a hero for those of you who want a list of some great options for the gooey goodness that is in and around Orlando. You may have been going to Rocco's Tacos for the table side guacamole, the t.v. 's in the bathroom stalls, or for the patio view of Little Sand Lake, but what you should be diving into are the nachos. Spicy beef, black beans, guacamole, pico de gallo, Chihuahua cheese, and pickled jalapeños. It's clear that they do not skimp on the cheese and this appetizer could easily double as a meal or a take home snack for later. 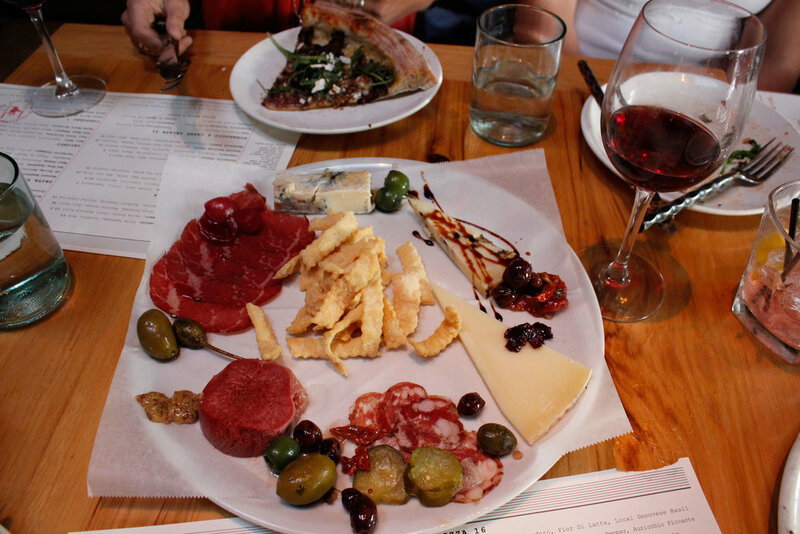 "Give me all the meat and cheese you have" is a totally acceptable order at Prato. While you'll find plenty of classy cheesy goodness in their pastas and pizzas, none seems quite as sophisticated as the charcuterie board. Snack on a little bit of Gouda and Bleu cheese, and a little bit of beef tongue. And if you feel embarrassed asking for more of the cripsy crackers in the middle, don't. We did. I'm not really a big burger gal, but if I'm craving one it better be juicy and smothered in cheese. The Stubborn Mule burger is definitely one of the better burgers I've had in town. Seminole Pride beef, beefsteak tomato, spring mix, maple-pepper bacon, lots of Gruyere cheese fondue with a crispy sweet potato nest. Don't let this photo fool you, there is lots of gooey cheese under the potato nest. It's one of the few places that can lure me into eating beside the beautiful people of Thornton Park. Perhaps you've made it this far into the list and you are thinking these aren't my types of joints! I'm an American who likes their cheese hot, messy and combined with the countries favorite beverage and protein: BEER AND MEAT! 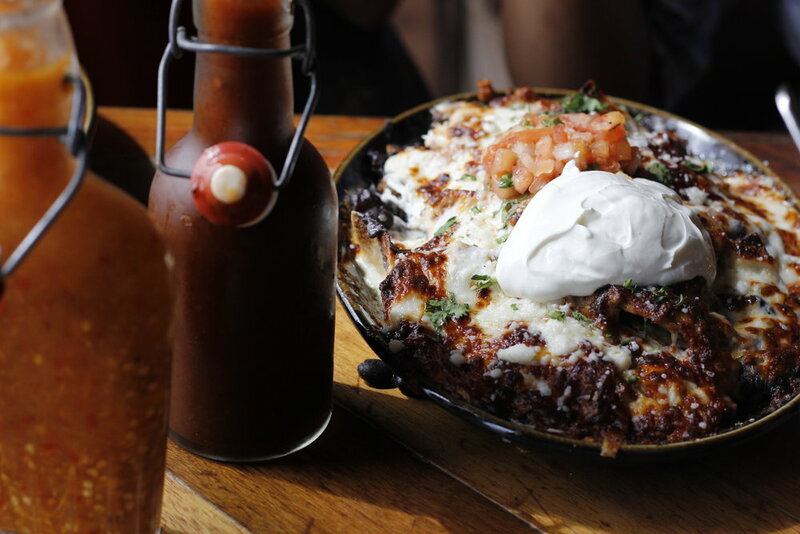 Well if that is the case let me introduce you to the Pulled Pork Totchos over at the Porch. Tater tots, smoked BBQ pulled pork, and a whole lot of beer cheese. Yes there is shredded lettuce, tomatoes and some jalapeños in there somewhere, but you can easily pick around those veggies. Pro tip: ask for an extra side of beer cheese for dipping; for you must have no shame. Admittedly I'm cheating a little bit with this dish since the Locale Market is located in St. Petersburg, but a cheese drip like this deserves to be known. It's not fancy, but it's so devilishly satisfying. 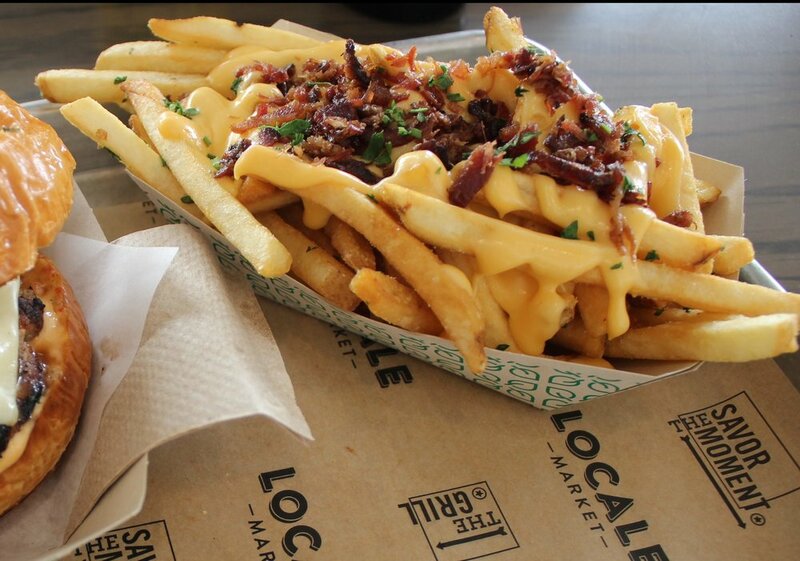 These thin and crispy fries are drenched in cheese with a heavy sprinkling of bacon. It's a gracious portion and unbelievably only $3.49. They are made to order hot and fresh. Don't make plans to share. You won't want to. Sometimes I feel much better about my cheese consumption when I pair it with tomatoes. That's the choice of a healthy adult, right? 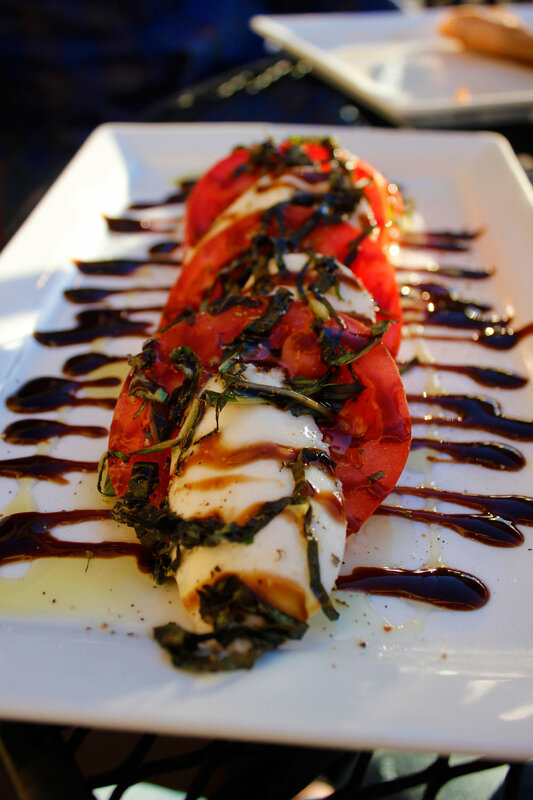 Antonella's has amazing pizza, but I can't say no to their Caprese. Fresh mozzarella, olive oil, and fresh basil. Also, not to be missed some of the best service I've had in town and no side-eye when ordering cheese on cheese on cheese for my meal. Is there anything more beautiful than a glistening bun with a waterfall of melted cheese? These mini sliders are hiding all the way over in Lake Nona, but these handheld morsels along with many other dishes are well worth your toll money. The Cheeseburger sliders come with aged white Cheddar, spiced ketchup on a Brioche bun. There are so many pizza places in College Park, but I'm partial to Ragazzi's who has been catering the personal pizza fests in my living room for the past seven years. One night I decided I wanted to try something new, and that is when I spotted the Veggie Bread. Spinach, onions, tomatoes, fresh garlic, olive oil and Parmesan & Provolone Cheese. I don't know why I love it so much, but it hits all the right spots. And by spots I mean fat rolls begging for more cheese. There is something new when I pop back over to to my (Florida) hometown of Winter Garden. Inside the Plant Street market I found some new guys whipping up mac & cheese. Even though I had already ordered an entire pizza from another vendor, the cheese consumption challenge was accepted. You can create your own blend of toppings along with their macaroni that comes standard with about five cheeses. It's gooey and delicious and the portions are definitely shareable. I've been on a taco tear at Pig Floyd's lately. My favorite has been the shrimp and sausage, but in the name of cheese research it was time for me to try their cheesiest taco on the menu. The Korean Kimcheeze taco takes char-grilled chicken, spicy kimchi, Pepper Jack cheese, pickled onion, napa and cilantro to create the beauty you see below. It has a nice flavorful kick from the kimchi with the Pepper Jack chasing right behind it. I cool myself off with a bite or two of grilled Mexican street corn and a swig of the cider on tap. It's a pretty magical meal all around. If you want to know about cheese, go to the expert. La Femme du Fromage in the East End Market has all the fancy cheeses you'll ever want and the expertise to explain to you what you'll actually like. Forget sleep number beds, everyone should know what their cheese profile is. Cheese lovers can create their ultimate board and enjoy the East End Patio in all it's hipster finery. What's really exciting is that for National Cheese Lovers Day they are taking one of the most drool worthy viral videos of last year and bringing it to life with their Raclette event on Friday, January 20th! It's happening from 6pm - 9pm, so go get your melted cheese on! All photos belong to me. All food is paid for by me. Yes, I have a day job. Thanks.